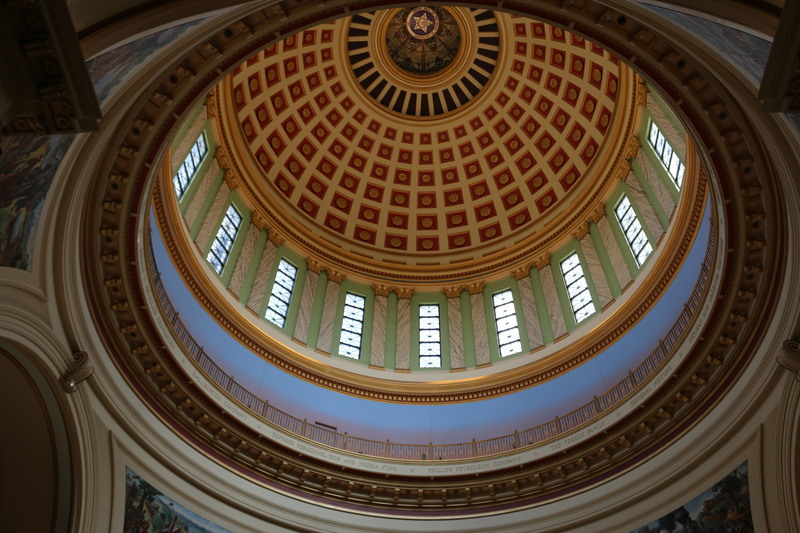 Members of the Oklahoma House of Representatives spent their time on procedural decisions Monday and did not vote to reconsider a controversial bill that would backfill the state’s $215 million budget hole. House Bill 1038 was withdrawn from the House’s Calendar Committee and was moved to the House Appropriations and Budget Committee. The bill — called a shell bill — is not yet complete. It’s missing legislative language necessary for it to be considered. Without any new revenue, state agency officials said they expect deep budget cuts beginning December 1st. Oklahoma Majority Leader John Echols’ office said a revenue raising bill was not on the itinerary for votes as of Thursday. There is currently a meeting scheduled for Friday Echols’ Legislative Assistant, Kaye Bleach, said. HB 1054 X that would have filled most of the state’s budget hole failed in the Oklahoma House of Representatives Wednesday. The measure, House Bill 1054, would have raised taxes on cigarettes, gas and increases the state’s gross production tax to 4 percent. The measure was approved by the Oklahoma Senate earlier this week with an almost unanimous vote. The bill modifies the taxes levied by the state on the consumption of cigarettes, little cigars and chewing tobacco, motors fuels, low-point beer and increasing the gross production tax on new wells to 4 percent. Dome of the Oklahoma Capitol. Photo by Cici Simon. Overall, the bill would $140 million in revenue for this fiscal year, and the projected growth for FY 2019 is over $400 million. Fallin said House Speaker Charles McCall, R-Atoka, should put the measure back up for a vote. She also called upon Oklahomans to continue to contact their representatives. “It is discouraging that some members have chosen politics over taking care of people by refusing to vote for this budget package and have shown they are not willing to move our state forward,” the governor said in a statement Wednesday. Later today, the Oklahoma House of Representatives is expected to discuss HB 1058 X, which was introduced late September, but reconsidered Tuesday. The bill calls in the Department of Human Services to fully fund the state’s ADvantage program. Another bill, HB 1074x, which was also first introduced in September, would alter the “sales and use taxes” on vehicles. Bleach said the bills were intended to inform lawmakers how to use funds once they were received. “It is a bill that says when you get the funds, we want these programs covered,” She said. Two days ago the Oklahoma Policy Institute argued the budget is the best source of income for the state, given the time it was written, and it would save several agencies who assist drug abuse victims. “It recognizes that the state budget can only begin to be fixed with new recurring revenues and provides an important measure of fairness by curbing the tax break for oil and gas companies and restoring the earned income tax credit,” OK Policy said of HB 1054 and HB 1034. Bennett said Oklahoma’s legislators failed to pass the bill, and fell short of what hard working Oklahomans deserve. He said it happened slowly and quietly. When in good years lawmakers cut taxes, and in bad years lawmakers cut services.